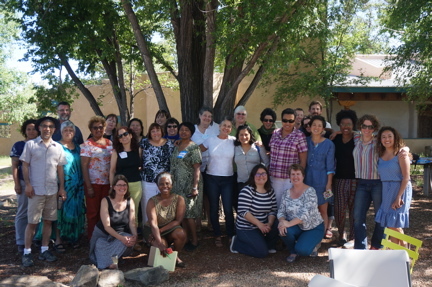 RoadMap is a national team of of 76 consultants across the country dedicated to advancing the power and promise of social justice organizations. With Emily Goldfarb serving as Director, we bring extensive on-the-ground experience, a range of complementary skills, and a diversity of race and ethnicity, class, sexual orientation and geographic backgrounds that is rare in the consulting field. RoadMap continues the successful work of the Management Assistance Program (MAP) of the French American Charitable Trust (FACT). Over a period of seven years, MAP conducted more than 90 capacity building engagements with 39 social justice organizations and consistently received highly favorable evaluation ratings. As FACT prepared to spend down in 2010, social justice organizations and funders alike expressed the need to continue MAP in some way. As a result of this demand from the field RoadMap was born with two seasoned consultants, Emily Goldfarb and Elsa A. Ríos, as its initial Co-Directors. Click here for more information about FACT’s efforts to strengthen organizations. At RoadMap, we believe that social justice organizations are critical to creating transformational change in our society. We also believe that in order to achieve this transformational change, organizations need support to adapt to new challenges and changing conditions. RoadMap exists to provide this support through high-impact, relevant and integrated consulting services. As a team of capacity-builders “indigenous” to social justice and movement-building, we understand the organizational goals, strategies, structures and cultures particular to social justice organizations. As such, we are able to engage deeply with clients to provide precisely tailored capacity-building that fits their needs. 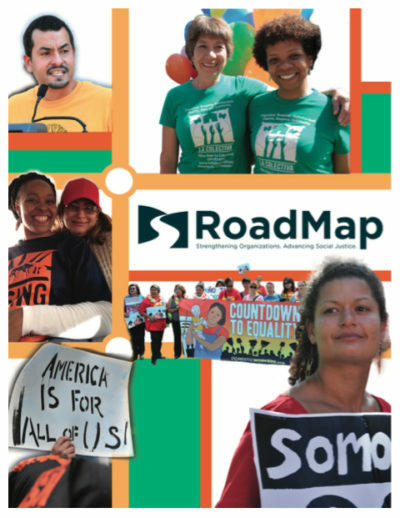 In doing so, RoadMap helps fill a broader need in the social justice sector: The need for relevant organizational development and coaching support applied through a framework that both embodies and advances social justice. While RoadMap does not have a formal staff, an Operations Team was established in 2015 to help oversee the network’s day-to-day operations and act as a coordinating body. The Operations Team provides the Director with thought leadership and support in setting strategy and priorities for RoadMap. The team members are not employees, but rather independent consultants working from 5-30 hours per week. In addition to providing coaching and consulting services, RoadMap serves as a forum for peer exchange and innovation, developing and testing new strategies to help build the social justice sector as a whole. We invite you to get to know RoadMap! Meet our consultants, learn about our programs and services, view a list of our clients and funders, and read client testimonials and case studies. Interested in finding out more? Request services or contact us for more information.